Follow Us On Instagram @hair_broducts! Free mailing all orders! Registered mailing free above certain purchase! Meet-up to self collect and cash upon delivery options are still available Please Contact US @ 96927419 if you have any queries. FIRST PURCHASE AT MY SITE - USE CODE: FIRST5 for 5% off! May other bundles are available on my website! NEW IN! 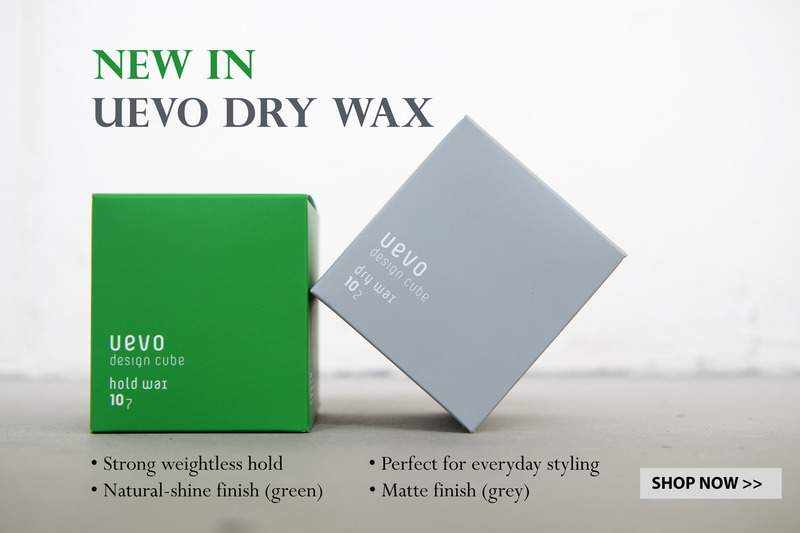 UEVO Dry Wax Series - Japan Professional Styling Series for Men (used by most Japan-based salons) - BACK IN STOCK!! Last edited by gaoxing84; 05-02-2018 at 12:06 PM..
NEW IN PRODUCT FROM BLIND BARBER! STRONGER AND SHINIER! 70g! Blind Barber 90 is back! Bigger and Better! Now in 70g! Strong Hold, Matte Finish, All day control pliability with fiber like hold without stickiness! All NEW Goodness from the Sea! Creates voluminous hair with that medium-light natural hold after blowing dry. Perfect as a prestyler before using Blind Barber Pomade or simply use it on its own for that waxy beachy look. Suitable for all hair length! The famous lemon tea shampoo! All you need is a one time wash using this to remove all grime, dirt and styling product without removing the necessary good stuff on your hair. Conditions your hair with essences of coconut oil and rooibos tea, leaving it a smooth comb thru with a refreshing lemony scent after rinse, think ice lemon tea! 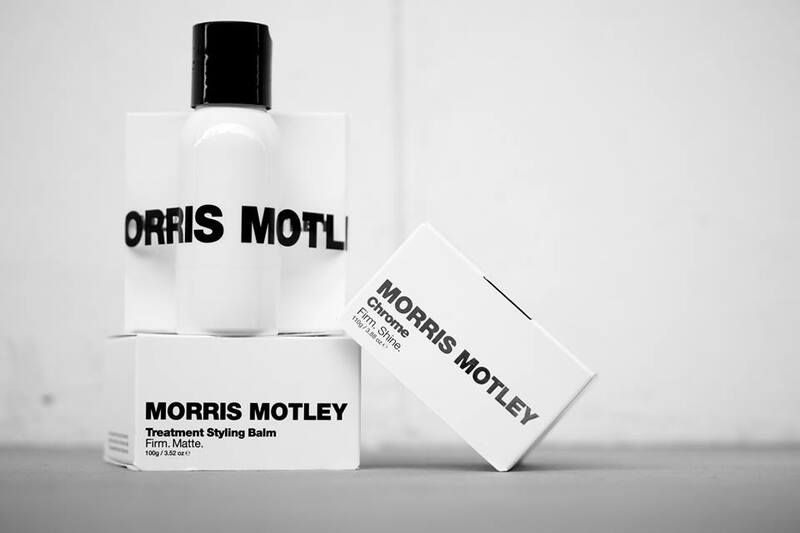 "..Lightweight, strong hold, full day pliability and matte finish.." 1st Community-made styling product! 1 Tub at $29.90! 2.5 OZ! Last edited by gaoxing84; 16-10-2017 at 12:05 AM..
NEW IN! BYRD WAX BASED POMADE COLLECTION! 100% formulated and made in California, USA. Try yours today! BYRD Matte Pomade - Strong hold, lightweight, texturising and all day control matte finish pomade. Great alternative to Blind Barber 90! Easy to wash as well. 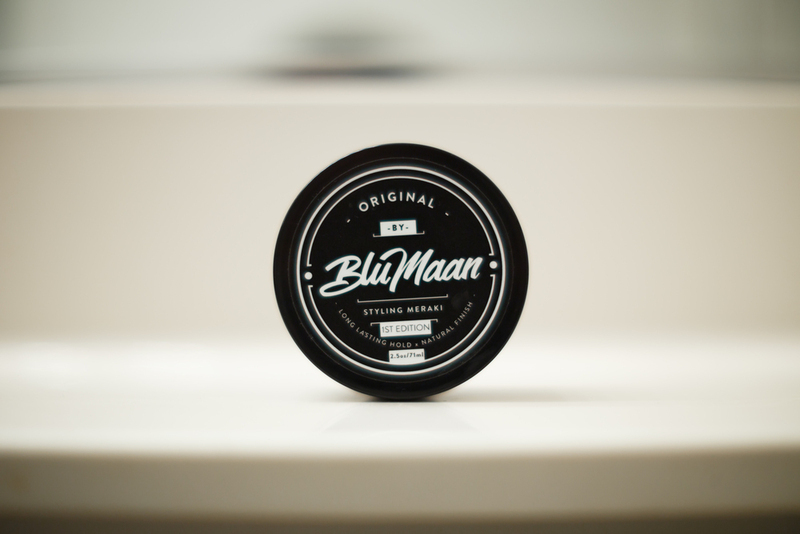 BYRD Classic Pomade - Versatile, strong hold wax pomade with a shiny finish. Great for slick backs and any classic hairstyles. Fairly easy to wash.
BYRD Light Pomade - Light-medium hold wax pomade with a natural finish. Great for loose or right pomp. Works really well with guys with longer hair that wants a loose undone style. Easy to wash as well. REF 323 Sea Salt Spray! $21.90! 200ML of Sea Salt Goodness for creating voluminous hair! BabyLiss Pro 2200w hair dryer $81.90 (Usual $90.90). With 2200w AC motor, Slim nozzle, 6 speed & temp setting! Salon Grade with UK 3-Pin Plug, 100% safe and imported from UK. Wooden Handle with Boar and Tynex Bristle! 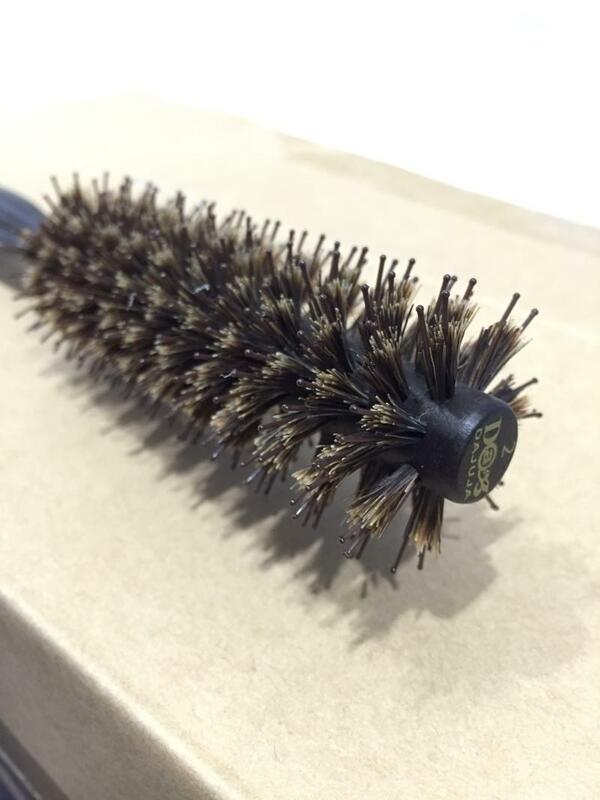 Great for grabbing even fine hair for blow styling! Salon Blow Dry with Brush method! Last edited by gaoxing84; 03-10-2017 at 12:32 PM.. PERSONAL REVIEWS OF HWZ MEMBERS! Shared on Slikhaar TV Facebook! My Review on Slikhaar TV Facebook! REVIEW OF THE GOLD DIGGER! Just received the Gold Digger By Vilain. took them less than 2 weeks to deliver from Denmark. Thumbs up! Design of the container i guess they got the idea from Sebastian craft clay. First impression, the texture of the product looks like HdF sponge wax but once you dig it out, it will feel like the Sebastian craft clay. Very thick and very heavy clay feel. This is kinda different from the usual HdF product i used. It's so strong (stronger than Sebastian Craft Clay) that you need a little strength to emusify the product in your hands, got to rub till it's a little warm before applying. This product dries up really fast so once it's in your hands, must quickly apply into your hair. It's so darn strong till you need a little strength to power it thru your hair. Shaping and styling of hair is as easy as the videos we watch on Slikhaar Tv, they didn't oversell their product. Totally matte look. You can have the sleek matte look, beach style or even wild hair do, this product will certainly hold it. Very dry product, comparable to Uevo Grey and Nigelle Bold Make Clay (maybe even drier). From what i read, maybe having a few tiny drops of water will work the product better and will help give you some time to style before it dries up. I still prefer to have no water though. so far from 7am till now, my hair hasn't really flopped, even my long fringe sticks to the side and my sides that are shaved, grew out is still pressed down in place. Difference is silver fox comes with a higher shine. Must see in real life. Pictures can't tell. Anyway, those working in Tanjong pagar know during lunch time, the wind like free flow. So after 2 hours outside, Hawker centre with fan blowing, sweat, natural wind blowing in opp direction of my hair. OKAY! Here are my thoughts after using gold digger for one full day after getting it from gaoxing bro yday. On first sight, the packaging is small and petite. Easy for bringing around especially for travel purposes. A volume of 65ml at a cost of $20+ sounds reasonable to me, from the perspective of an end consumer. So the next question to ask will be how much to use per application. This question is pretty subjective as it depends on one's hair texture and it varies for everyone too. Below image shows how much i used for today. More or less the amount that i used for styling products as my hair is longer and thicker. I used the hard part of my fingernails to dig up 3/4 of my total used proportion on first dig. Note that i didn't use the soft part of my fingernails to dig as this is slightly hard form and not soft paste or whatsoever. Then, rub on my fingers then spread to my palms evenly afterwards. I then used the towel-drying method to brush from right side of my head to left and vice versa. This complements my hairstyle of having undercut. I want the texture to be seen from the sides and using this method will helps to achieve that. Once i spread the gold digger evenly across the top area, i did not proceed to style the top area. Instead, i used what is remaining on my fingers and palms to pull up and crunch my fringe. Making it into a side pomp, i twisted and curled back my fringe ends (easier as i permed my hair) and use fingers to slightly comb it back. Here it comes. #1: Hold itself is definitely awesome. #2: What is more impressive here is that it gives a very nice slight shine texture finish. Definitely not matte IMO and the shine is just nice on the dot. BINGO. 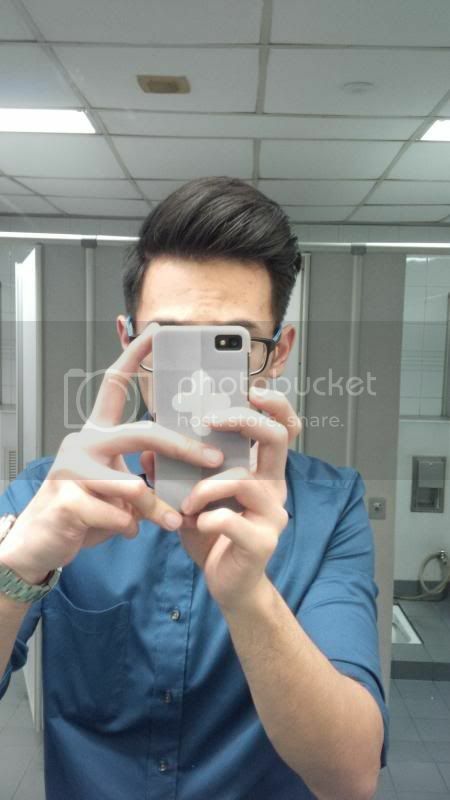 When you make a side pomp, it cant possibly look very matte. It just doesn't go well when its too matte but with the shine that gold digger gives, its simply awesome. #4: For long, I had been wondering is this a wax or clay. Both terms depicts different properties and i realized its sort of a hybrid product of wax and clay, which makes it versatile. Clay is usually very dry and gives matte texture finish. Wax is usually softer and gives shine texture finish. Gold digger is not very dry or wet and gives slight shine finish which i simply love the shine that it gives over here. #5: Its not very hard form and instead, its easy to dig up. Using it to comb it through your hair is simple. Easy application definitely. #6: Doesn't harden or becomes firm THAT MUCH after application. I am still able to change my hairstyle very easily to side pomp from backcomb (my sides are too long to do backcomb). $7: Very washable and i mean it. Super easy to wash off. Thumbs up! Subsequently, i continued to style my top area with the current distributed gold digger spread onto it. Crunch them up as if you are crunching your fist and do it across different parts of the top area. This creates the volume and the layered texture for one. Twist and pinch the hair ends if you want it to further show the contrast of your hair texture. Then rub the sides of the head in a diagonal direction by pressing it inwards. It helps to sharpen your face and makes your hairstyle stand out even more. The above-mentioned steps, i must say, gold digger really impressed me. It really did well on these steps and the remaining 1/4 of the total amount of gold digger used is for touch up and back of my hair. #1: Tends to be heavy. It will definitely pull the hair down so at least for me, to counter the weight of gold digger, i got to use hair spray. #2: Will yank out a bit of the hair. My hair is of thick texture and i got 2-3 strands of hair being yanked out by gold digger. Still acceptable but people with thinning hair, please take note of this. #3: The shine itself is still not adequate to make a backcomb IMO. Side comb still okay but backcomb will require a higher degree of shine. This review comes at a bad timing especially when gaoxing just received award recognition by slikhaar too. But i really hope my 2cents worth of opinions helps those who are considering to buy or try out new styling products. Not an expensive investment to make but i can say its definitely worth it. Should be able to last for 2 - 4 months depending on your usage. Collected distorter from gaoxing today and bought gold digger on the spot after someone put his aeroplane. Started off by applying moulder on towel dryed hair and then blow drying it to create some volume. Next, I used about a fingertip of the gold digger to style my back comb. Application was really easy because it does not clump my hair together and the hold was GREAT. On top of that, my hair remains pliable throughout. The downside is that it is slightly heavy. My hair feels like its dropping down whenever I bend my head over, resulting in a side comb. However, I just have to rake through my hair to bring it back to back comb. Not sure if this is caused by my blow drying method or the tendency of my hair to shift to one side when it is not styled. The gold digger has a faint smell and is rather easy to wash off as mentioned by others. sculpt into quiff and there u go.... no hairspray at all. after half a day and style back into place with my bare hands..
Got the quicksand and gd combo frm bro gaoxing today. .. follow his instructions, can feel its abit diff frm other waxes.. even though my hair is due for haircut , the wax managed to hold pretty well.. thanks gx for the recommendations. Got the Gold Digger from GX on Saturday, been using it these 2 days. I find that it is quite easy to apply on the hair, it is lightweight as if I didn't really put anything on the hair. Also, it doesn't make your hair stick together hence easy to restyle. The hold was still ok and it was very easy to wash off. However I find that my hair seems to feel slightly greasy, almost negligible, but the feel is still there even after shampooing twice and blow dry. Hence it was very difficult for me to achieve the desired style and volume when blow drying. Those currently using Gold Digger do you guys face this issue as well? I was using Syoss Tu-Re all along and my hair feels very clean after shampooing twice. Have been using Gold digger for close to 3 weeks and I love it. Main thing is for its versatility/pliability & adequate hold. Don't mistake the word adequate for not strong enough. It just means that it it has just the right amount of hold for my current hairstyle. So versatile that my friends can mess up my side quiff (by sweeping it in the opposite side) & next moment, i can rake it back in place. yo gaoxing, thanks for letting me have the last GD, must say I'm impressed with the hold and love its smell more than Quicksand! Hello guys! I'm back from my birthday party! Went to changi bungalow resort. I styled my hair with sss+quicksand+Gold digger. Wind keep blowing. I perspire Alot and my hair didn't collapse at all! My birthday photo all look very good without messy hair. Happy that i got this product to help me. when i first used the gd, had problem playing with it. when i used too little, it wasn't enough to do up my hair. when i applied a bit more, it became too much and it gave that oily feel sticking my hair tgt. no choice, text him again. he intro-ed me the kms sss. today i just used, darn effective. text him and thank him for the recommendation. Sea Salt Spray + Gold Digger Bundle Review! Overall, satisfied with the purchase and prices are affordable. Not to mention the friendly and good service. WHAT MANNER OF SORCERY IS THIS?!!?!?! great separation, great pliability when applying, neutral/fresh smell, great hold, feels natural/not stiff, dries fast and naturally. OMG, good stuff! Price also not super expensive! The ONLY complaint I have is why they never produce this in a bigger jar?!? just a quick question, how well does this product support re-moulding throughout the day? need to use water etc? Last edited by gaoxing84; 24-07-2016 at 10:23 PM.. Anyway, my first impression of the wax was that it wasn't going to be too strong as compared to the armino spice which i am using now and absolutely adore! But was i surprised! The strength is similar to, if not stronger that armino wax. The hold also seems to last throughout the whole day. My hair also remains pliable the entire day, cause who here doesn't like to go to the toilet or use handphone camera to adjust and play with your hair!?! There is no doubt that this wax has a matte texture which is a favorable thing in my opinion. A weird thing i found is that the my hair seems to be easier to style an hour or two after the initial application, after the wax has matured(?). Washing the gold digger off is also no issue as it comes off easily and cleanly. The incredible holding strength though is a double-edged sword. Upon raking my hands through my hair with this product, some of my hair will snap due to the holding power. However, this being said, my hair is fine in nature and not in the best condition after many bleachings. Also, i do admit i tend to go overboard on the amount i put. So, i doubt many will find this an issue. Overall, i am very satisfied with this product and i'm quite confident that i will finish this entire tub. *Looks at the pile of half-used hair products* At the rate which i am using, a new tub might soon be in order. Anyway, here are some pics of how i style my hair. Pictures were taken at the end of the day with no additional product being added. Don't say i no pics! Thanks Bro Gaoxing . Sorry to keep you waiting . Met this cool dude with manly beard to get my GD and SF . Though he was in a rush to attend something , but he say " Any problem , u can come find me ( haha like a big bro saying any dai ji can ask for my help .) "
OK here is the review for SilverFox , the contents compared to Gold Digger was abit more complex . Tub of SilverFox and Gold Digger differentiates with a Silver and Gold lining respectively . Opened this babe with an seal attached , Outlook of the wax was not appealing ( Somehow looks like wet cement.) Smell wise was musky and perhaps a sweet tinge of cedar . Applied a slight more than finger nail size of it , and the feel was quite different as it gives " wet stick glue somehow like UHU Glue ( it is a very strong hold with obvious parting once i styled ) " hahaha. Hairstyle is side parting by the way. This babe proves herself with extreme hold and gloss . 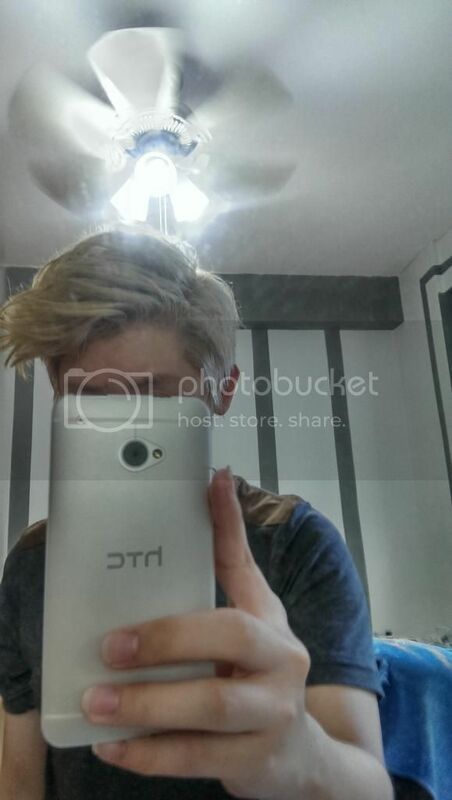 hey guys, any recommendation for a salon that cost below $20 for a men's haircut? planning to go for just trimming and keeping it neat and tidy. i think what leejhong said makes alot of sense, in that it is not worthwhile to spend so much on just trimming your hair if your hairstyle is the same. 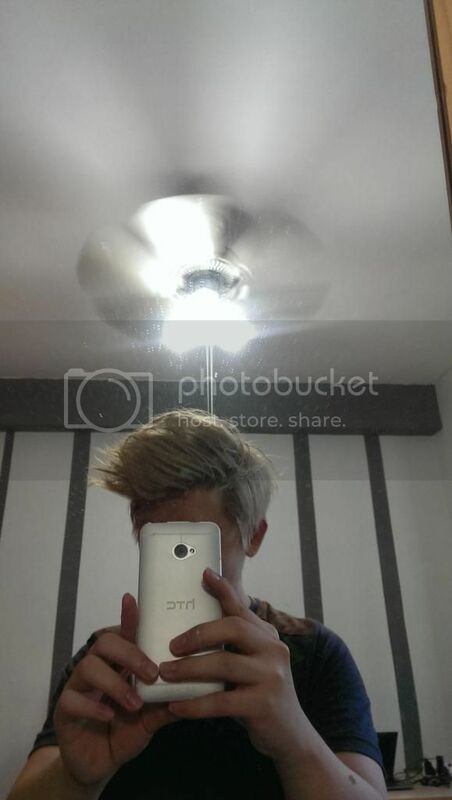 anyway, do you guys style your hair before you go for a haircut? i think if style hair it will make it easier for the hairstylist to cut, but not sure if it is the common practice. also, i purchased gold digger and os sea salt spray from gaoxing94. the os sea salt spray works as stated. created volume and made my hair look not so flat. for the gold digger i used a very small volume to style my hair, since i was afraid i would pull out too many of my fine hair. managed to achieve the hairstyle i want. 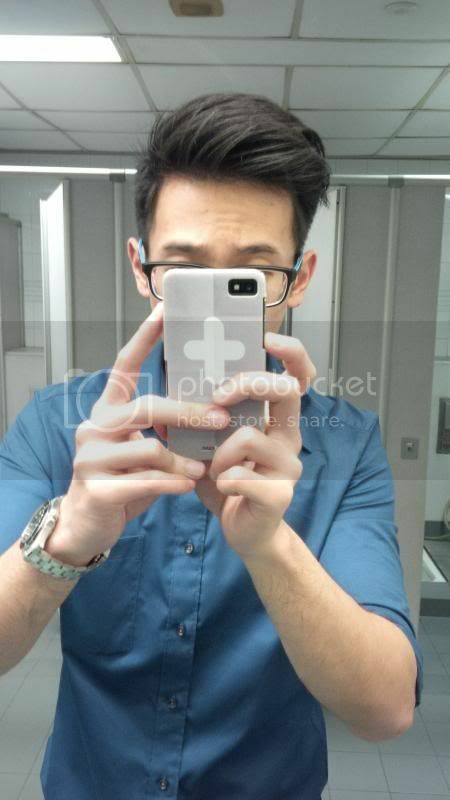 was in aircon environment for around 8 hours, and hairstyle didnt collapse. my fringe did drop down a little every 2~3 hours or so, but a quick fix (pushing my fringe back up) would do the job. Might be because of my previous hairstyle as well, since i had a long fringe last time and my fringe would always fall on my forehead, so hair not used to spiking? anyway, its a good product! seller was very efficient and helpful as well. Bought Kanebo shampoo and PP spray from leejhong 2 weeks ago, guess I will write short reviews for them. Before reviewing the products, I have to praise bro leejhong for his service. He changed and arranged his timing to meet me. Really appreciated that. First is the Kanebo shampoo which I think most have known the quality. The most impressive part is how I can use 1 pump to wash the styling powder, Gold Digger and spray from my hair in 1 wash. I use Schwarzkopf taft powder for volume instead of sea salt spray and those who use styling powder will understand how hard it is to wash your hair, I usually need to wash twice. The first shampoo I use that can clean it in 1 wash is Kanebo My hair is also less oily the next day and becomes easier to style in the morning. Got the Kanebo conditioner sample and when used with the shampoo really makes my hair soft and refreshing. When he said the conditioner makes our hair soft he was not kidding, which is why I just ordered 1 bottle. Next is Power Point spray which is indeed lightweight and most important it is matte. Size is big too making it value for money. Another sample I got was 90 Degrees wax which is pretty unique. It doesn't clamp the hair together and very dry yet has a strong hold. Smells a bit funky tho but at least the smell is not strong and when I step out I don't smell it anymore. May consider it next time after I use it more as it is quite new to me. Another mention to Gold Digger which I got from another great seller bro Gaoxing. If you want strong hold, you won't go wrong with Gold Digger. Gold digger is the only wax so far that can bring down my sideburn. Usually only Joico Ice Spiker can bring my side hair down but I prefer GD as it is matte. And I can style and re-style my hair all day long with GD which is also shown by Gaoxing in his video. Ok, time for my FR on the younger brother of the much raved GD; Silver Fox. This is my first FR/product review ever so might be a bit of lengthy with some stories. First off, 5 Stars for the "service" provided by our shuai ge gaoxing. Now i see why so many ppl fapping to him, good looking guy. I had contacted him to get a tub of SF last week and he told me collection was on Monday onwards as his weekend schedule was unpredictable. Friday evening i texted him to see if he can squeeze out 5 mins to meet me as it was the weekend and i had run out of product to use. Certain areas of my hair tend to wave a bit at the ends when no product (a bit like Liam Hemsworth's waves). It's bearable but i have a bit of OCD when it comes to hair. I offered to go down to GX's place directly and he was kind enough to accommodate me at 11pm. Yup GX thats me, i look like pinoy? xD in case you're wondering i'm neither one of the 3 major races in SG either. He spent some time talking and advising me about the product and even let me touch his hair to feel the texture. Ok so opened the tub and took a sniff. The scent was a little musky, the pleasant sort. Reminded me of cologne from Davidoff or Ralph Lauren. Do note however that scent is a very personal and subjective to individual preference. It looks like cement, slightly tough to dig out but no issue really. Now, other than Fudge Matte Head all the other products i have used are off rack from supermarkets namely Gatsby. Trying Silverfox i seriously felt like a caveman who discovered fire. Used just a tiny bit, about half of what you normally see in Slikhaar's videos rubbed it in my palms till it heated up and ran it through my hair. To my surprise despite its dry appearance it ran through my hair smoothly unlike Gatsby which you get a lot of resistance and hair drops. Raked my hair with my hands only and in a few swift moves the pomp i created was to my satisfaction. Didn't have to keep redoing or attempting to force hair in certain areas into place. It has somewhat of a shine finish not as much as i'd like but sufficient. I normally use Osis Freeze strength 3 to finish off as i do not like restyling my hair and like it to sit in the same place the whole day but i went without spray this time. The scent on this thing has got me absolutely addicted. Test against nature: I frequented Tanjong Pagar and Harborfront area last year so i know the wind conditions there. However the wind there is like a cake walk as compared to the wind in my area. I run a shop under a block facing a huge open and unobstructed space. The winds here are all day long and are so strong they can push chairs (those kopitiam type) 1-2 meters away(similar to the wind you see in GX's video. With such strong wind i didn't expect too much tbh. Wind blew against the direction i styled by hair in and to my surprise not all my hair got pushed upwards like Johnny Bravo but rather just a little in the center flew and looked like Ultraman. Went to the toilet to restyle and i got it back into place in 1 swift move. Repeated this a few times over the day and it was such a breeze to restyle. Really never encountered this before. Tested restyling with a fine tooth comb. Those who have done this with other cheaper waxes know its a big no-no. Once again to my surprise it didn't screw up my wavy ends and NO FLAKES! SUGOI DESU! Test #2: I know its not a healthy habit but sometimes when im too tired from work i just crash with wax still in my hair. Dont go all eeeee on me. We have all done this. So i intentionally went to bed with the SF still in my hair to see if i would wake up looking like C4 exploded on my head(it normally looks like that with other waxes). After 6 hours of sleep i looked in the mirror and my hair was out of place of course but very very toned down as compared to normal. I literally went "Wow". I could still restyle it with 1-2 attempts and it looked great again. Actually i thought it looked even better! Still no flaking! Do note that i don't have flat hair issue, i do have some natural volume so it normally looks unforgiving when i sleep with wax in my hair. All in all i had that little bit of product in my hair for over 30 hours. Overall this a fan-****ing-tastic product with great hold and restyling ability(considering i had it in for that long). Unlike any other i have used and i really like it. Only wish it had more shine cause i believe if you wanna wear a classic hairdo like pomps/quiffs no matter now modified it is it has to have a slick shine to look classic. Having said that perhaps lesser shine will suit certain outfits better. Also wish SF and GD were more easily available here May just get a tub of Layrite Pomade for formal wear. A tip for those who have issue forming volume, Styling your hair in the opposite direction it grows in normally automatically adds volume. I didn't use any SSS. I normally style my hair in the direction it grows in so what i did was to blowdry in the opposite direction, get SF all over my hands then run it through hair and push it back in the correct direction. So you can either try styling in opp direction or blowdrying in opp direction. batch 2 up! another 10 tubs!